You might have noticed that we at Stellar Four adore Halloween (if not, then read here and here and here). The costumes, decorations, pumpkins, scary movies and stories are a huge part of the fun, but my inner 10 year old always asks, "What about the candy?" No surprise, I like to find something new for my sweet tooth every year. I found a few fun ones that I wanted to share with you. 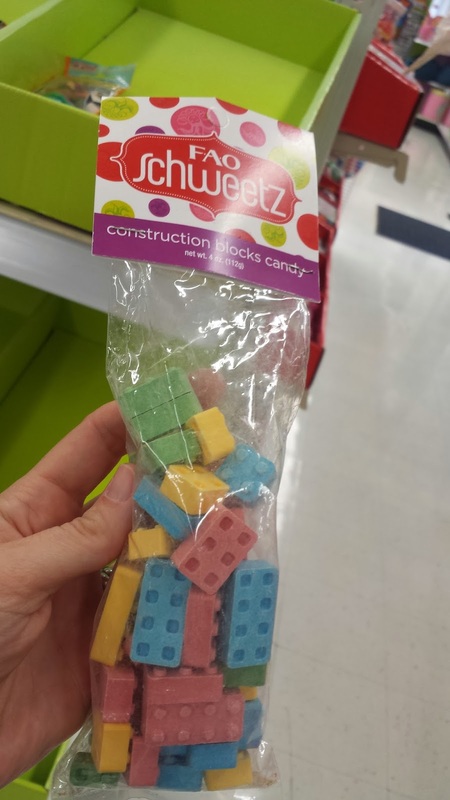 First up, Construction Block Candy from FAO Schweetz. I found these at Toys R Us. Legally, they of course have to call them "construction blocks," but we all know that they are candy Legos. 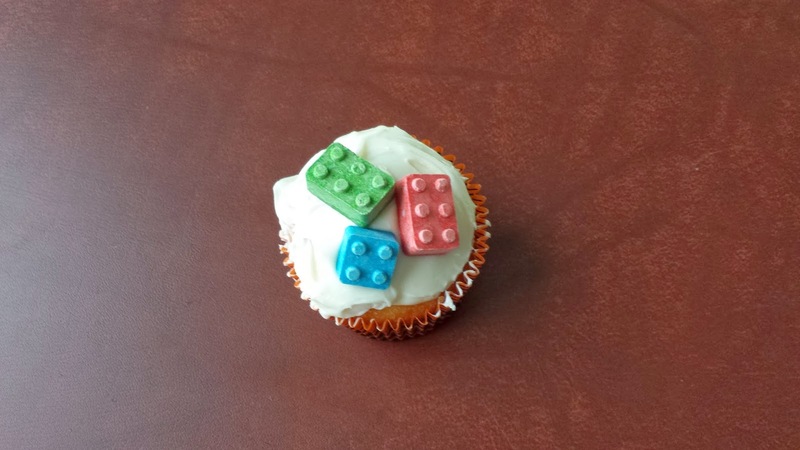 I first got them because the boychild not only wanted Lego cupcakes for his birthday, he also wanted me to make them. I've had a few decorating fails, so I decided to go easy on this one. It totally worked because the kids thought the end result was awesome. Bonus - it was quick to make AND inexpensive. Woohoo! You can actually build with the candy blocks, so that is fun. The taste isn't fantastic. It's not horrible, but was just extra sweet. They are a great conversation piece though, so if you are having a candy bar at your Halloween shindig, you might want to add these to the offering. Next we have the Caramel Apple Milky Way bars. I found these on sale at Target and was on the fence. They sounded interesting, but I knew that they could so easily go horribly, horribly wrong. Happily, I like them. Strong caramel taste with a hint of apple. Helps that these are the bite size morsels. I'm not sure I'd want a whole bar. 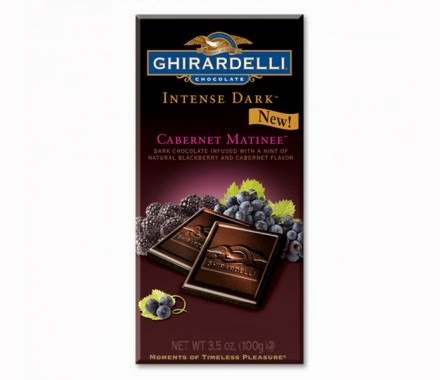 Finally, we have the Ghiradelli Cabernet Matinee. The bag reads "Dark chocolate infused with a hint of natural blackberry and grape flavor." When I smell the chocolate, I got a whiff of grape, but the taste was just chocolate and blackberry, especially that all-important after-taste. I'm also a dark chocolate fan, so this was a win for me. I saw the pumpkin spice M&M's in the store too, but did not have the courage to try them this year. How about you? 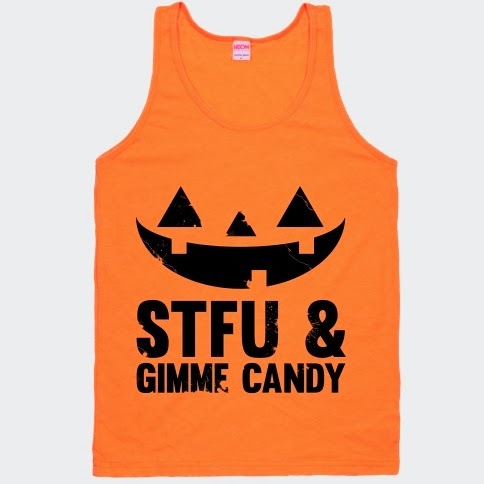 What is your favorite candy this Halloween?